Just Smile And Say Eyeballs! Have You Used Your 2018 Benefits? It’s almost December! Have you used your 2018 Vision Care, and/or FSA benefits? 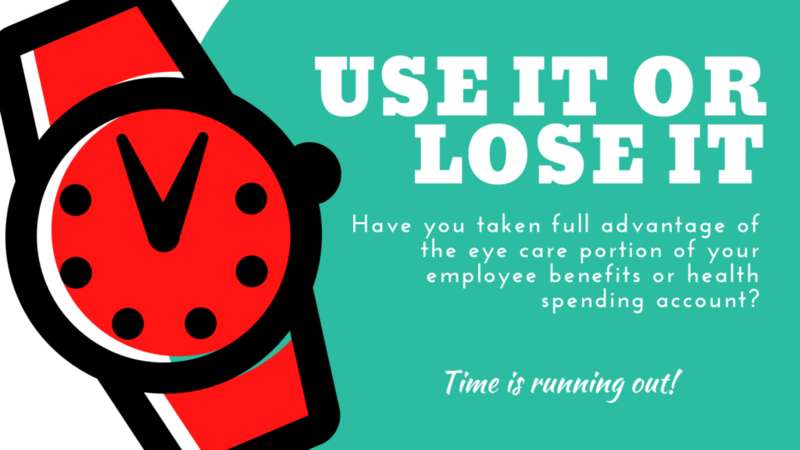 Many vision benefits and flexible spending accounts (FSA) offer benefits that expire at the end of every year. This means that if you do not USE the money by the end of your benefits year (usually December 31st) you will LOSE it. In most cases, unused benefits cannot be transferred over to the New Year (usually beginning January 1st). Most vision insurance plans entitle you to annual comprehensive eye examination and either an allowance or discounts toward eyewear or contact lenses each year. Have you taken advantage of these benefits this year? If you are not sure of the date of your last comprehensive eye examination, please call or text us at (206)217-2015 and we can look it up for you. The end of the year is often the busiest time for optometrists and optical shops. Schedule your exam early, stop by anytime to pick out your next pair of eyeglasses and/or call to order a supply of contact lenses before time runs out!